Stephen Weingrad | Weingrad & Weingrad, P.C. 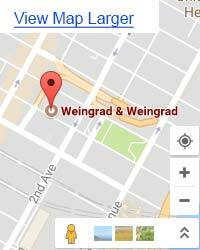 Weingrad & Weingrad, P.C. as a partnership was founded in 1964 by Stephen A. Weingrad and his father, the late Samuel B. Weingrad (1907 - 1992). The elder Mr. Weingrad limited his practice to commercial litigation and insurance defense. He moved his offices into the Empire State Building in 1952, and 50 YEARS later relocated to 233 East 35th Street, New York, NY 10016. Today Weingrad & Weingrad, P.C. is a general practice firm with its practice in state and federal courts limited to litigation, appeals, arbitration, business law, commercial law, intellectual property law, corporations, estates, trusts, family law, real estate transactions and tort law, including medical malpractice, products liability, personal injury, serious injuries, slip and fall, automobile accidents, and industrial accidents and art law. Most cases handled by Weingrad & Weingrad, P.C. are on a contingency fee basis. Therefore, Weingrad & Weingrad, P.C. only receives a fee for legal services if there is a money recovery for our client. This fee arrangement ensures that our best efforts will be given to every case. Cases handled by Weingrad & Weingrad, P.C. are processed and prepared for trial and submission to a judge and jury. While many cases are settled prior to trial, in order to serve the best interests of our clients, we are always prepared for trial. It is our philosophy that by being prepared for trial, we receive the highest settlement offers. 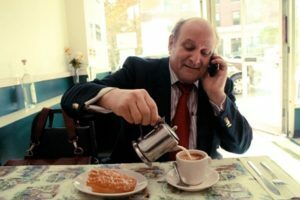 With over 40 years experience in the legal profession, Stephen Weingrad’s expertise with art, artists, copyright and intellectual rights law is unsurpassed. Spearheading copyright infringement cases involving Time Life, National Geographic, The Elvis Presley Estate and taking a stand for major photographers most notably Bert Stern’s infamous ‘Last Sitting” images of Marilyn Monroe, Stephen's talents are multi-faceted. From the former law offices at The Empire State Building since 1952 and now continuing from its new office at 233 East 35th Street, , his firm Weingrad & Weingrad, P.C. covers the gamut from art law, tax and personal injury law. Most recently Stephen has ventured out into the art arena to network projects that introduce fine art masterpieces to Russia, Dubai and Asia. Through The Weingrad Group, specifically designed to assist artists, dealers, auction houses and collectors to promote and market art outside the sacred walls of the art arena, has become a full time job given these challenging times. Pioneering masterpieces by Andy Warhol, Rodin, Picasso etc. The Weingrad Group enables corporate as well as private investors the opportunity to have a hands on experience with these objects, not just from a business but a personal and artistic experience. 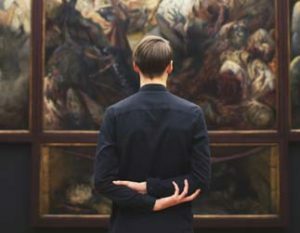 Having successfully litigated cases involving many major museums such as The Museum Of Modern Art in NY and MOCA in LA, as well as supporting artists’ claims against dealers and auction houses, The firm remains totally unique in this niche. Copyright © 2019 Weingrad & Weingrad, P.C. - All Rights Reserved.